Yet another blast of thunder from out of Canada's underground of extremity, Saskatoon diehards Goathammer conjure black magic and warfare in equal measure with their first-ever full-length, Ceremony of Morbid Destruction, a culmination of the sound the band have developed for the last few years. 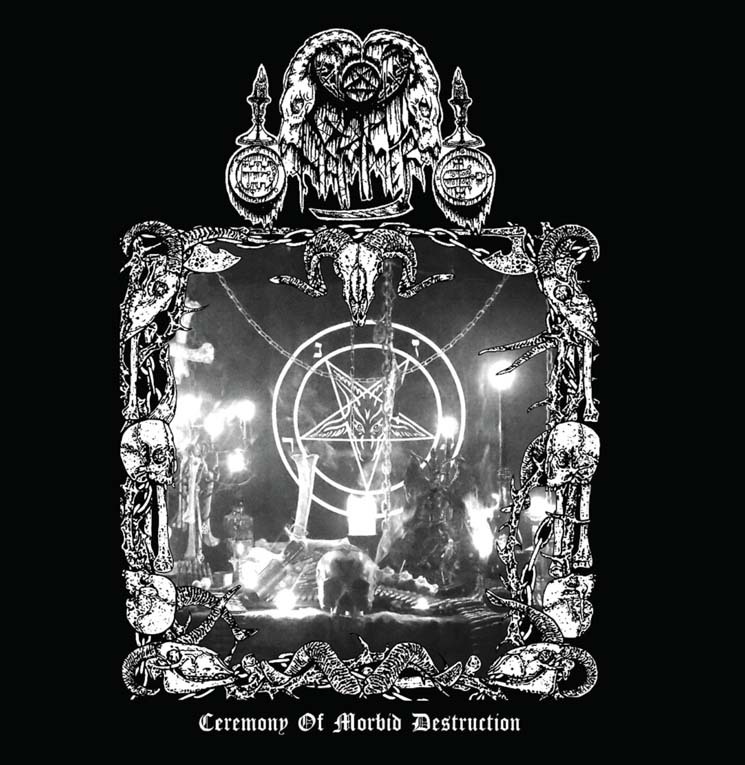 Wearing their influences on their sleeve, Goathammer work within the black metal style, yet show no hesitation at mining various other stratas for the sake of crafting vile perfection, giving Ceremony of Morbid Destruction a multifaceted lethality that most bands as early in their career don't strike upon. Diehards will no doubt hear trace amounts of Mayhem and Bathory as much as early Sodom, but never to the point where Goathammer themselves become lost in their own influences. The cold desolation of more traditional black metal in a track like "Astral Crucifixion," which perfectly evokes Darkthrone's "Transilvanian Hunger," is fused with outgrowths of more bestial hammering, as in "Perverted Blasphemy," opting for atmosphere and mood over outright primitive violence. All the while, the band never fail to provide solid riffs and potent shifts in speed, giving each song a sense of identity, without becoming inconsistent.